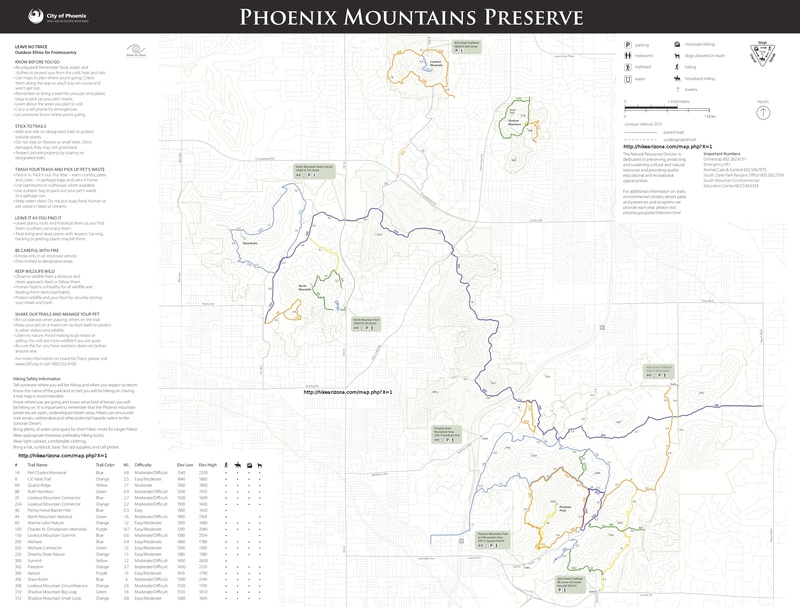 Charles M. Christiansen Trail #100 is a 10.7 mile one way hike with 790 feet elevation gain. Located 3 miles north-northwest of Phoenix Arizona. The trailhead is car accessible. December and January are the best months to enjoy this hike. 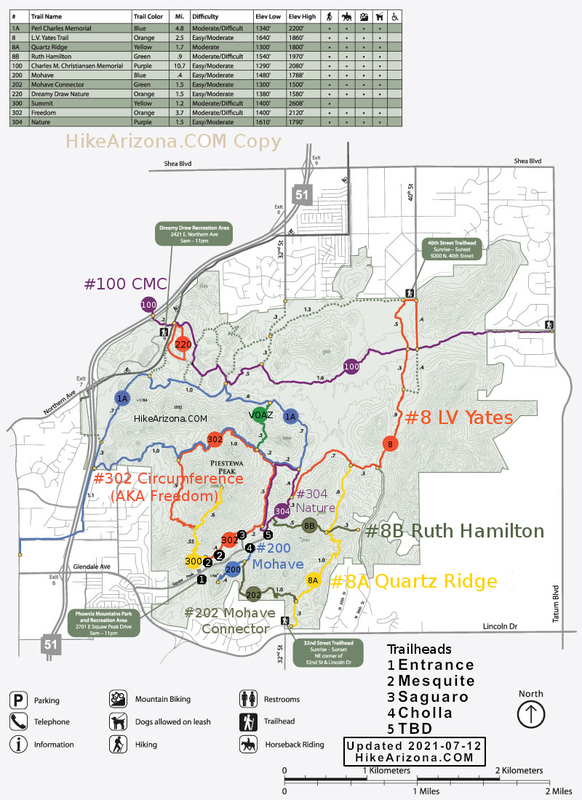 West trailhead: North parking lot of Mountain View Park, N 7th Ave & W Cheryl Dr.
Intermediate trailhead: North Mountain Visitor Center, west side of N 7th St half mile south of Thunderbird Rd. Trail crosses 7th St via tunnel south of the parking lot. Intermediate trailhead: Dreamy Draw Recreation Area, dead end of Northern Ave a mile east of AZ-51. Trail passes north of the parking lot. East trailhead. Small parking lot on west side of Tatum Blvd across E Tomahawk Tr. No restrooms or water at this trailhead.